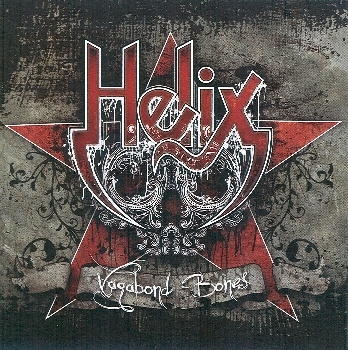 Helix is back with their 12 studio album, VAGABOND BONES, just in time to celebrate their 35th anniversary. Founding lead singer Brian Vollmer has kept the Helix legacy alive through multiple lineup changes over the years and it’s more of the same this time around. Sean Kelly (Crash Kelly) joined the band in early 2009, contributed to the album and touring, and left to join pop star Nelly Furtado resulting in Vollmer reuniting with the classic ’80s lineup of Helix including Brent Doerner, Greg Hinz and Daryl Gray for live shows and parts of the album recording. Steve Georgakopoulos and Rob MacEachern return to add guitar and drums to the new record as they did on THE POWER OF ROCK AND ROLL in 2007. Put the lineup changes aside…..a new Helix record is always welcome! If you’ve listened to Helix before then you know exactly what you’re going to get: an ’80s Hard Rock sound that rooted in basic blues/boogie, like an AC/DC, Kix or Krokus, with solid guitars and energetic vocals. Basically it’s Hard Rock music like I remember it…..music you played at high volumes and sang along to while performing your best air guitar moves. That’s why some of the best records today are made by bands with tons of experience and knowledge of their craft…..like Helix. VAGABOND BONES keeps the party going with a lot of songs that have to do with just that…..partying! The festivities begin with the simple but effective ‘The Animal Inside (Won’t Be Denied)’, a Hard Rock song that accurately resembles the classic early ’80s Helix sound, and the basic AC/DC stomp of ‘Go Hard Or Go Home’. This is no frills, in your face guitar Rock straight off the bat and it proves that Helix still rocks with the best of them. The title track, ‘Vagabond Bones’, continues the good time party Rock with an infectious chorus and solid background vocals up against a basic energetic riff. This is the meat & potatoes music that Helix lives on and they keep putting it right in your face. ‘Monday Morning Meltdown’ starts a quick musical shift and, even though the song is still Hard Rock, it’s has more melodic tones and presentation over another simple guitar riff and the hook is all over the bridge and chorus. This song has a bit of a Cheap Trick vibe going for it at times and it’s turned out to be one of my favorites from the album. The alcohol fueled ‘When The Bitter’s Got The Better Of You’ and ‘Hung Over But Still Hangin’ In’ continue the partying theme that runs through VAGABOND BONES and they form an interesting pair. ‘Bitter…’ drives along at quick pace and almost seems a little comical in it’s tale of alcohol’s control at the exact drinking moment while ‘Hung Over…’ tells a similar tale but from the morning after’s perspective. Of the two, I prefer ‘Hung Over…’ with it’s basic sleazy and dirty groove that reminds again of Bon Scott era AC/DC and early Rose Tattoo. The melodic Cheap Trick vibe returns on ‘Best Mistake I Never Made’ and incorporates a bit of Country influences to add another dimension to the overall sound. The guitar tone is great and, even though the overall sound of the song isn’t completely heavy, it stills packs a good punch. Even though I like the basic Helix sound it’s good to hear the band branch out a bit. ‘Make’em Dance’ is uptempo and fun with a swirling riff and pumping bassline…..I just don’t know if I really like this one all that much. It’s a decent track and it fits the band but the “na, na, na’s” don’t do it for me…..a small hiccup. Last song of the album is Jack Daniels fuelled ‘Jack It Up’ that is pure attitude and groove, going along with the main theme of the record. Again more AC/DC style in there but you can hear the boozey delivery from Vollmer, he let’s us know that he may know a thing or two about having a few drinks! Helix is one of those bands that never disappoints. 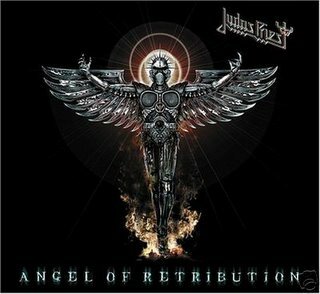 Every album is well done with solid songs that follow a certain formula that the band always follows well. The overall sound dates to the late ’70s/early ’80s but Helix has never strayed from that style, their style. It’s cool to get a record with well written party Rock tunes that are infectious from start to finish with great guitar work. And what’s more Rock ‘N’ Roll than booze? If you’ve read the Brian Vollmer/Helix book Gimme An R! then you know that this band knows it’s way around the excesses of alcohol! VAGABOND BONES is a fun party album that deserves to be played on 10. It also proves that the older bands still do it better and hopefully Vollmer and company will give us another solid record in the years to come. I couldn’t find a bad song on the album and the only drawback is that the music only lasts just over a half hour. I found myself wanting more…..but maybe that’s exactly what Helix wants us to feel like when they drop another record on us in a couple of years. Took a quick trip to the Newbury Comics in North Attleboro, MA to see what was there and maybe pick up a couple of new releases. The last couple of times I went out on a hunt I drove the 20 mins to the Warwick, RI store because the selection and setup is better. What keeps me going back to North Attleboro is the separate Metal section and the fact that it’s less than 10 minutes from home. 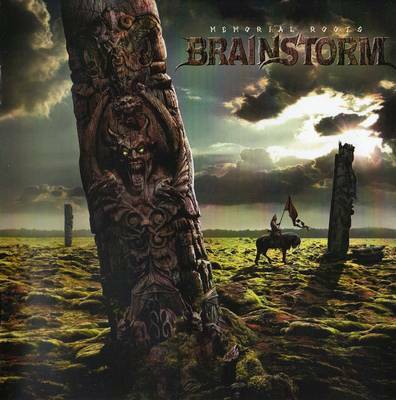 Here’s today’s finds…..
Brainstorm – Memorial Roots (2010) – $12: I’ve had a digital promo for the few weeks courtesy of AFM Records so this has been the main album in my daily playlist. I’m a collector so I need the physical product and I would have bought this album regardless of the digital promo because I like Brainstorm and I have most of their records. This came out in Europe in late 2009 and it’s a limited edition with 2 bonus tracks, I bought the regular 11 song U.S. edition that came out on 1/12 at a great sale price. 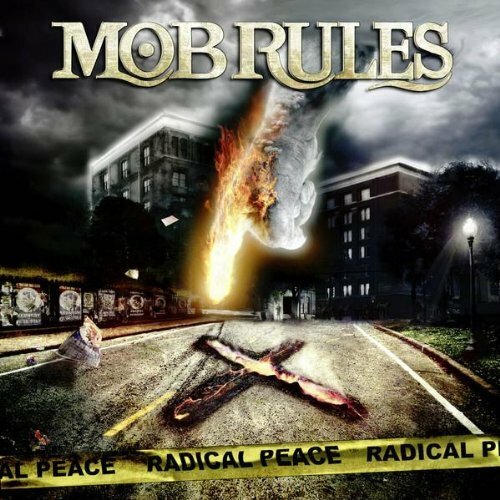 Mob Rules – Radical Peace (2010) – $12: Same situation as Brainstorm…..digital promo from AFM Records but I haven’t given it a spin yet. I would buy this CD anyway because I have been following Mob Rules since their 1999 debut SAVAGE LAND and the collection just wouldn’t be complete. Just like Brainstorm, and a few other AFM releases, RADICAL PEACE has been out worldwide since Fall 2009 but it’s official U.S. release was on 1/12. Another great sale price that saved $4 off the regular price. 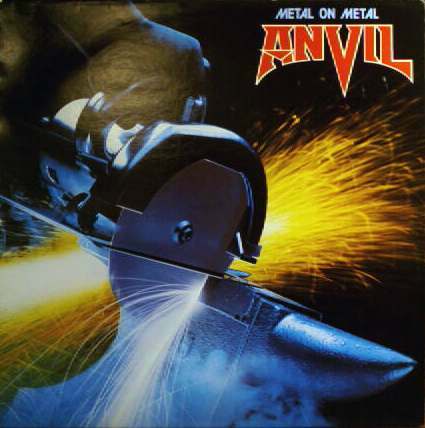 Anvil – Metal On Metal (1982) – $13: I’ve been trying to replace old Anvil cassettes with the CD versions for the last year. The popularity of the Anvil documentary and the band’s resurgence has made these CDs shoot up in price online upwards to the almost $20 range without shipping. I already picked up HARD ‘N’ HEAVY (1981) and FORGED IN FIRE (1983) to replace my old tapes but METAL ON METAL is either unavailable to order or it sells quick whenever a single copy ships to the store. I saw this and grabbed it quick and saved myself $7+ compared to online prices.